The question is critical. It involves whether we can be brought into the kingdom of heaven. Most believers of the Lord think that emulating Paul by sacrificing everything and working hard for the Lord is tantamount to following the way of the Lord and the eligibility to be brought into the kingdom of heaven when the Lord returns. This opinion has become the conception of most believers in the Lord. But is this opinion based on the Lord’s words? Is this pursuit of ours consistent with the Lord’s intention? By emulating Paul’s hard work, are we really following the way of the Lord? Do we really qualify to enter the kingdom of heaven? The Lord Jesus said, “Not every one that said to Me, Lord, Lord, shall enter into the kingdom of heaven; but he that does the will of My Father which is in heaven. Many will say to Me in that day, Lord, Lord, have we not prophesied in Your name? and in Your name have cast out devils? and in Your name done many wonderful works? And then will I profess to them, I never knew you: depart from Me, you that work iniquity” (Mat 7:21–23). The Lord Jesus spoke very clearly that only the one who follows the will of God will enter into the kingdom of heaven. The Lord Jesus did not say that those who sacrifice everything and work hard for the Lord could enter the kingdom of heaven. Contrarily, many assiduous workers, who prophesied, cast out devils in the Lord’s name, and did many wonderful works, not only were they not praised by the Lord, they were even determined as wicked by the Lord. We can see that Paul’s words, “I have fought a good fight, I have finished my course, I have kept the faith: From now on there is laid up for me a crown of righteousness” (2Ti 4:7–8), were contradictory to the Lord Jesus’ words. They were fundamentally inconsistent with the Lord’s intention. As far as being brought into the kingdom of heaven, there is only one way which is certain. It is what the Lord Jesus has clearly said, “And at midnight there was a cry made, Behold, the bridegroom comes; go you out to meet him” (Mat 25:6), “Behold, I stand at the door, and knock: if any man hear My voice, and open the door, I will come in to him, and will sup with him, and he with Me” (Rev 3:20). What it said about going to supper with the Lord referred to accepting God’s judgment work in the last days. By accepting God’s judgment and chastisement, man will understand all the truth, receive cleansing and be made perfect. These are the results of attending the feast. So we can be certain that only those who accept Almighty God’s judgment and chastisement in the last days and receive cleansing will truly enter the kingdom of heaven. We believers of the Lord have faith in the Lord Jesus Christ. Only the Lord Jesus Christ is the truth, the way, and the life. So for how to enter the kingdom of heaven, it should be based on the words of the Lord Jesus as final. Paul was just an apostle preaching the gospel. His word could not represent the Lord, and his path was not necessarily the way for entering the kingdom of heaven. Since the Lord Jesus did not witness that Paul’s path was correct, and He did not tell us to follow Paul’s example, if we choose our way to the kingdom of heaven based only on Paul’s words, it is easy to go astray. The passage of the Lord Jesus’ word we just read is too important: “but he that does the will of My Father which is in heaven.” This sentence tells us that we must believe in the Lord’s word. Only following the will of God is the way to enter the kingdom of heaven. In the last days, the Lord Jesus has returned and does the work of judgment beginning with the house of God. If we hear God’s voice, accept God’s work in the last days, and receive cleansing from God’s judgment and chastisement to be made perfect, without a doubt, this is how those who obey God’s will qualify themselves to enter the kingdom of heaven. As for those who only focus on preaching, casting out devils and performing miracles in the Lord’s name, are they able to know the Lord by not paying attention to practicing the Lord’s word? Are they the ones who do God’s will? Why did the Lord Jesus say, “I never knew you: depart from Me, you that work iniquity” (Mat 7:23)? This passage of scripture is too important; it is thought-provoking! We all know, back then, the Pharisees of Judaism had traveled over land and sea. They had suffered a lot and paid many prices. Apparently, they seemed to be loyal to God. In fact, they only focused on religious rituals and rules. They paid no attention to practicing the words of God. They failed to follow, even abandoned God’s commandments. What they did and how they behaved, completely contradicted God’s intention and deviated from God’s way. So the Lord Jesus condemned and cursed them, “Woe to you, scribes and Pharisees, hypocrites! for you compass sea and land to make one proselyte, and when he is made, you make him twofold more the child of hell than yourselves” (Mat 23:15). Evidently, the idea that “As long as someone works hard for the Lord, he will be brought into the kingdom of heaven when the Lord arrives” is purely the notion and imagination of man, which is completely out of line with the Lord’s words. Our pursuit for salvation and entry into the kingdom of heaven is right, but it must be based on the words of the Lord Jesus as final. If we ignore the Lord’s words but base it on Paul’s words and adopt the practice of Paul as our goal, how can we expect to win the Lord’s approval? If we believers of the Lord all understand these two verses, we’ll know exactly what the way to the kingdom of heaven is. In fact, before accepting the work of Almighty God in the last days, we all had such notions and imagination in our belief of the Lord. We assumed that as long as we held on to the name of the Lord, sacrificed all, labored and preached in the Lord’s name, we were practicing the Lord’s word and following His way, we were certain that we would be brought into the kingdom of heaven when the Lord arrives. Later, after accepting the work of Almighty God in the last days, I saw the words of Almighty God: “When work is spoken of, man believes that work is to run to and fro for God, preach in all places, and spend for God. Though this belief is correct, it is too one-sided; what God asks of man is not solely to journey to and fro for God; it is more the ministry and supply within the spirit. … Work refers not to running to and fro for God; it refers to whether the life of man and what man lives out are for God to enjoy. Work refers to man using faithfulness they have to God and the knowledge they have of God to testify to God and minister to man. This is the responsibility of man and what all man should realize. In other words, your entry is your work; you are seeking to enter during the course of your work for God. Experiencing God is not only being able to eat and drink of His word; more importantly, you must be able to testify to God, to serve God, and to minister to and supply man. This is work, and also your entry; this is what every man should accomplish. There are many who only focus on journeying to and fro for God, and preaching in all places, yet overlook their personal experience and neglect their entry into the spiritual life. This is what causes those who serve God to become those who resist God” (“Work and Entry (2)” in The Word Appears in the Flesh). After reading the words of Almighty God, I realized that God’s requirement in our work is more than merely to suffer, run around, and expend for Him. The most important is that we can practice and experience God’s word, and be able to speak about our actual experiences of God’s word in our work and preaching to lead our brothers and sisters into the reality of God’s word. Only this kind of work is satisfying to God. In retrospect, in the many years I had believed in the Lord, despite I had traveled to various places to work and preach in rain and storm in the name of the Lord, in which I had suffered a bit and paid some prices, I had not paid attention to practicing and experiencing the Lord’s words. I was unable to speak of my testimonies of experience about practicing the Lord’s word. I was only able to speak some empty letters and doctrines of the Bible, and teach brothers and sisters in observing some religious rituals and rules. How could this lead brothers and sisters into the reality of God’s word? In addition, when I was doing work and preaching, I always showed off myself to let brothers and sisters look up upon me. I always betrayed the Lord’s requirements and followed my own will at work. Just because I had expended and suffered a bit for the Lord, I assumed that I was the one who loved Him the most and was most loyal to Him. I was shameless enough to demand the blessing of the kingdom of heaven from God. I was so supercilious that I even looked down upon those brothers and sisters who were weak and negative. I had only paid attention to working by zeal for the Lord but ignored to practice and experience the Lord’s word. As a result, despite having followed the Lord for years, I knew nothing about the Lord and lacked any reverence for God, not to mention making any changes in life disposition. And because for many years I had believed in the Lord and had expended and suffered a lot for Him, I was increasingly arrogant and insubordinate to everyone. I was even always telling lies and deceiving others, revealing the disposition of Satan at every chance. As hard as the work I was doing, it was completely void of practice of the Lord’s word and obedience to the Lord. How could this achieve any understanding of God? For someone like me who lacked both the reality of the truth and understanding of God, wasn’t everything I did humiliating and resisting the Lord? How could I be exalting the Lord and bearing witness for Him? As the Lord Jesus said, “Many will say to Me in that day, Lord, Lord, have we not prophesied in Your name? and in Your name have cast out devils? and in Your name done many wonderful works? And then will I profess to them, I never knew you: depart from Me, you that work iniquity” (Mat 7:22–23). Didn’t all those evildoers condemned by the Lord Jesus externally expend for the Lord? They had neither violated any law nor committed any sin. Why did the Lord Jesus call them evildoers? It was because all their hard work was intended for receiving blessing. They were not truly obedient to God. Only after experiencing the work of Almighty God did I understand the true meaning of the Lord Jesus’ word, and realize that no matter how many years we have believed in the Lord, no matter how hard we have worked, we will never truly obey and worship God or become someone who is obedient to God’s will without experiencing God’s judgment and chastisement in the last days. It is absolutely true. Let us look at the religious pastors and elders. Although they can set everything aside and work hard for the Lord, what is the work they are doing at all? What is the nature of their work? They have believed in the Lord for many years, they have never pursued the truth, and they are unable to receive the work of the Holy Spirit or solve the practical problems in our faith in God and the entry into life. They often talk about some empty biblical doctrines to fool and deceive believers, and testify how far they have traveled, how much work they have done, how much they have suffered, and how many churches they have established for the Lord and so on, in order to establish their own images for people to worship and follow. As a result, after listening to their preaching for so many years, brothers and sisters not only don’t understand the truth or know God, but they worship and follow these religious pastors and elders instead, unknowingly embarking on the path of worshiping man and betraying God. Are the pastors and elders following the way of the Lord by such spending and work? Are they not doing evil and resisting the Lord? 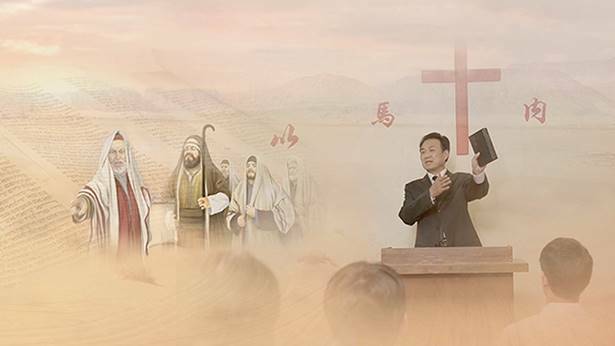 Especially for the work of Almighty God in the last days, most pastors and elders know that all the words expressed by Almighty God are the truth, all the work of Almighty God is the work of the Holy Spirit, but they neither seek nor examine His words and work. Instead, they frantically fabricated rumors and spread all kinds of fallacies to resist and condemn Almighty God, and blockade the religious circles to a water tight condition in order to protect their status and livelihood. They prohibit anyone from seeking and studying the true way, forbid people who spread the kingdom gospel to witness the work of God in church, and even collude with the evil Chinese Communist Party to arrest and persecute those who witness to Almighty God. Aren’t these blatant acts against God? Their evil deeds against God are even worse than how the Pharisees had resisted the Lord Jesus in the past! Based on these facts, can we still say that expending and working hard in the name of the Lord is equivalent to following the will of God? Can we still say that someone is eligible for being brought into the kingdom of heaven as long as he adheres to the Lord’s name, maintains the Lord’s way, and travels and expends for the Lord? Let us look at the words of Almighty God for a better understanding. Almighty God says, “You say you have always suffered whilst following God, that you have followed Him through thick and thin, and have shared with Him the good times and the bad, but you have not lived out the words spoken by God; you wish only to run about for God and expend yourself for God each day, and have never thought to live out a life of meaning. You also say, ‘In any case, I believe God is righteous. I have suffered for Him, run around for Him, and devoted myself for Him, and I have worked hard despite not receiving any recognition; He is sure to remember me.’ It is true that God is righteous, yet this righteousness is untainted by any impurities: It contains no human will, and it is not tainted by the flesh, or human transactions. All who are rebellious and in opposition, and not in compliance with His way, will be punished; none is forgiven, and no one is spared!” (“The Experiences of Peter: His Knowledge of Chastisement and Judgment” in The Word Appears in the Flesh). “You must know what kind of people I desire; those who are impure are not permitted to enter into the kingdom, those who are impure are not permitted to besmirch the holy ground. Though you may have done much work, and have worked for many years, in the end if you are still deplorably filthy—it is intolerable to the law of Heaven that you wish to enter My kingdom! From the foundation of the world until today, never have I offered easy access to My kingdom to those who curry favor with Me. This is a heavenly rule, and no one can break it! You must seek life. Today, those who will be made perfect are the same kind as Peter: They are those who seek changes in their own disposition, and are willing to bear testimony to God and perform their duty as a creature of God. Only people such as this will be made perfect. If you only look to rewards, and do not seek to change your own life disposition, then all your efforts will be in vain—and this is an unalterable truth!” (“Success or Failure Depends on the Path That Man Walks” in The Word Appears in the Flesh). The word of Almighty God is very clear: God is holy, righteous, and God absolutely forbids defiled and corrupt people to enter His kingdom. Many people are asking, “We work hard for the Lord and adhere to the name and the way of the Lord. Why can’t we enter the kingdom of heaven?” It is not just whether we follow the will of God. The most important thing is that our sinful nature has not been resolved. Therefore, the experience of God’s judgment work in the last days is necessary for someone to receive cleansing to accomplish change in life disposition and become a person who obeys the will of the heavenly Father. Only this way can he be eligible to be brought into the kingdom of heaven. Now we may understand why we often commit sins during the day and confess sins at night, and never manage to forgo sin? The root cause is our nature of Satan which often dominates us to resist and rebel against God. Even if we often confess our sins and repent to the Lord, we cannot break away from the binding of sin. Such is the dilemma and status quo of all believers in the Lord. For in the Age of Grace, the Lord Jesus only performed the work of redemption so man could be forgiven of his sin and be eligible to pray to God, commune with God and enjoy the grace and blessings of God. But the redemption work of the Lord Jesus only forgave our sins without pardoning our satanic nature. Even if we were able to work hard in the name of the Lord, run around and expend, we still could not break away from the control and binding of sin. So the Lord Jesus said that in the last days He would return, which is to resolve our sinful nature and satanic disposition. In the last days, Almighty God has come to carry out His work of judgment and cleansing of man based upon the foundation of the redemption work in the Age of Grace. By expressing the truth, God reveals and judges man’s satanic nature, and cleanses man’s satanic disposition, so that we can be completely delivered from the influence of Satan and be saved and gained by God. 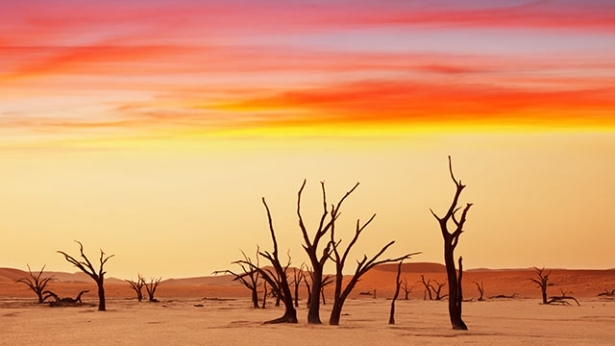 Let us read the words of Almighty God: “Before man was redeemed, many of Satan’s poisons had already been planted within him and, after thousands of years of being corrupted by Satan, he has within him an established nature that resists God. Therefore, when man has been redeemed, it is nothing more than a case of redemption in which man is bought at a high price, but the poisonous nature within him has not been eliminated. Man that is so defiled must undergo a change before becoming worthy to serve God. By means of this work of judgment and chastisement, man will fully come to know the filthy and corrupt substance within his own self, and he will be able to change completely and become clean. Only in this way can man become worthy to return before the throne of God. All the work done this day is so that man can be made clean and be changed; through judgment and chastisement by the word, as well as through refinement, man can purge away his corruption and be made pure. Rather than deeming this stage of work to be that of salvation, it would be more apt to say it is the work of purification. In truth, this stage is that of conquest as well as the second stage in the work of salvation. It is through judgment and chastisement by the word that man arrives at being gained by God; and it is through the use of the word to refine, judge, and disclose that all of the impurities, notions, motives, and individual aspirations within man’s heart are completely revealed” (“The Mystery of the Incarnation (4)” in The Word Appears in the Flesh). “Though Jesus did much work among man, He only completed the redemption of all mankind and became man’s sin offering, and did not rid man of all his corrupt disposition. Fully saving man from the influence of Satan not only required Jesus to take on the sins of man as the sin offering, but also required God to do greater work to completely rid man of his disposition, which has been corrupted by Satan. And so, after man was forgiven his sins, God has returned to flesh to lead man into the new age, and begun the work of chastisement and judgment, and this work has brought man into a higher realm. All those who submit under His dominion shall enjoy higher truth and receive greater blessings. They shall truly live in the light, and shall gain the truth, the way, and the life” (Preface to The Word Appears in the Flesh). From the words of Almighty God, we realize that we have been profoundly corrupted by Satan. The nature of Satan is deep in us. Although our sins were forgiven through the redemption work of the Lord Jesus, and we could live before God by the grace of the Lord Jesus, we are still living in the satanic disposition and unable to practice God’s word and lead our lives according to God’s word, because the nature of Satan in us has not been resolved. This is not the type of people who will ultimately be gained by God. The people God will gain are those who have been cleansed of their corrupt disposition, those who are free of corruption and obedient to the will of God. So we still need the judgment work of Almighty God to resolve the roots of our sins, namely, the satanic disposition within us. When our satanic disposition has been cleansed, our separation from Satan’s influence has been complete, and we can truly obey and worship God, then we will truly be saved and gained by God, and qualify for God’s promise to enter His kingdom. There is no doubt about it. Previous：Question 12: The Bible says: “For with the heart man believes to righteousness; and with the mouth confession is made to salvation” (Rom 10:10). We believe that the Lord Jesus has absolved us of our sins and made us righteous through faith. Furthermore, we believe that if someone is saved once, then they are forever saved, and when the Lord returns we will be immediately raptured and will enter the kingdom of heaven. So why do you testify that we must accept God’s work of judgment in the last days before we can be saved and brought into the kingdom of heaven? Next：Question 14: You say that those who believe in God must accept God’s work of judgment in the last days, and only then can their corrupt disposition be purified and they themselves be saved by God. But, in accordance with the Lord’s requirements, we practice humility and patience, we love our enemies, bear our crosses, abandon worldly things, work and spread the gospel for the Lord, and so on. So aren’t all these our changes? We have always sought in this way, so can’t we also attain purification and be raptured into the kingdom of heaven?